It's easy to spend thousands and thousands on a vacation but it's not mandatory. I had to pay for college, a car and all that comes with it and still found money to take a few trips because I knew the tricks and tips to traveling on a budget. I didn't stay in 5 star hotels and I didn't fly first class, but I still got to camp overnight on the Great Wall of China when I lived in China as a volunteer, see the Taj Mahal on a vacation with a friend and more. You'll need to skip out on the absurdly luxurious side of traveling, but if you make some changes to the way you travel, you'll be able to see what you want to see and still stick to your budget. Choosing countries where you'll find affordable food, accommodations and transportation are going to be your best bet. If you're looking for affordable countries, our top picks are mostly all found in Asia. Countries like Thailand, China, Cambodia, Indonesia, and Vietnam mean spending a dollar or two for dinner, and $12 (or less!) for a room for the night. If you'd like, you can "splurge" by spending $40 to get a private villa and infinity pool — true story ... I totally took advantage of how cheap luxury was when I was in Bali. Things are just so affordable in Asia — just look at our list of things that are cheaper in China. But not all of Asia is affordable — if you really want your budget to take you further avoid places like Hong Kong, Singapore, and Japan. Some countries in Central America also made our list of cheap places to travel to. Bus rides for a few cents or a dollar get you to pretty beaches where surf lessons are $10, instead of $150 at a fancy resort (seriously). Similar to Asia, you're looking at spending a few dollars for dinner and a place to stay. But don't count out Europe yet — there are some European countries that are more affordable than others. 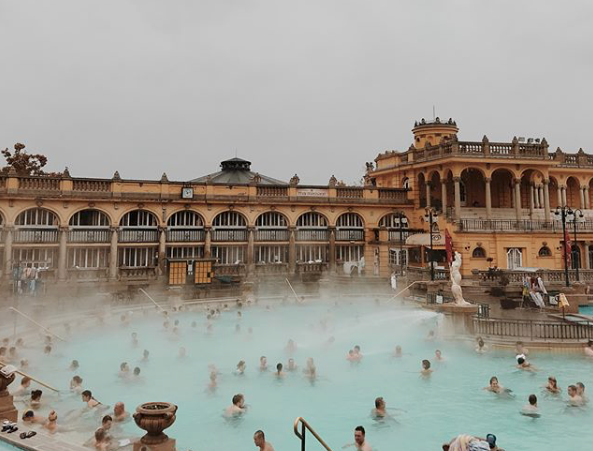 While we love places like France, Italy and Greece, traveling to countries like Croatia to hang out on the glittering beaches or diving into thermal pools in Hungary will save you money without making you feel like you missed out. No matter where you go, an international flight is most likely your biggest cost. Without some sort of a deal, you are looking at flights that may cost upwards of $1,200+. Yikes. We have a few tricks to avoiding that scenario. Skyscanner has a feature we're in love with. You plug in your airport, type in "everywhere" for your destination, and search "cheapest month" for your dates, then search. Skyscanner will pull up a list of destinations and the approximate cost, letting you choose a country that fits your budget. You'll need to be flexible, but it can save you some serious cash if you're adventurous on when and where your trip is. We also love signing up for a flight subscription (Here's a list of our favorite subscriptions). Various organizations scour the web for mistake fairs or good deals and share them with you. Some cost a fee for full access (they may be as little as $3 a month) or they'll offer a free version that just sends you less deals. Once you sign up, you will get an email whenever a good deal comes up (and these deals are good). I got half off on my flight to Vietnam thanks to these alerts. Similar to Skyscanner, you'll need to be flexible when it comes to your location and your dates, but they offer a good range of destinations including cities in the U.S., Canada, Europe, Asia, South/Central America and locations in Africa. Next money-saving tip is embracing budget airlines. America is slowly coming around to the world of budget airlines, but the rest of the world is taking full advantage of these down-to-the-basic airlines. They aren't luxurious (some won't include any snacks or water, so just bring your own) but they do get you there, for cheap. Go directly to the websites for these discount airlines around the world and see what I mean — you can get flights for c-r-a-z-y cheap if you are flexible with your dates and your itinerary. 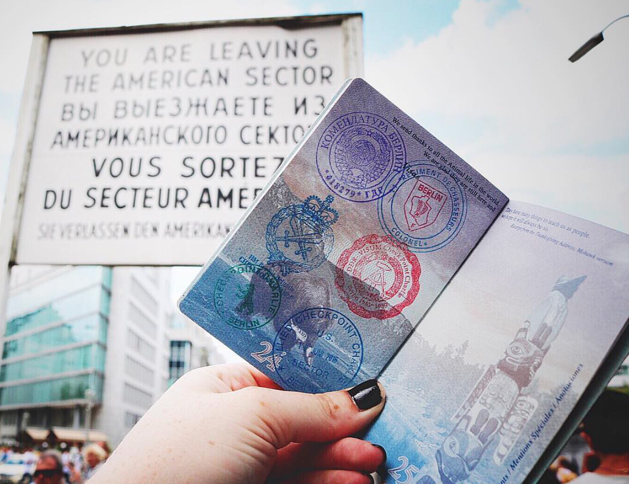 We found airfare from Lithuania to London for about $20, thanks to budget airlines. As a fair warning, these budget airlines save you on the initial cost, but are full of hidden fees like absurd baggage fees (pack light and avoid checking a bag if possible). As long as you are familiar with the ways they get you to pay more, you'll be fine. If you have your eye on a certain country, do some research on when the low-season is — you'll save on flights, accommodations and tours by traveling when there aren't hoards of tourists — there are some serious perks to traveling in the rainy season. The best hack is to Google when a country's shoulder season is ... that little window between peak season where tourists invade (and prices shoot up), and the low season where there's hardly any tourism so you'll see a big price gap. For example, Thailand's peak season is December/January so you'll spend less overall if you travel during the summer. One time when traveling in China, we rescheduled a trip to be two months earlier because entry tickets to these national parks were way less in the low season. We hiked around in some rain but the views were still stunning ... and just two months after we went, those ticked prices doubled. Yikes. Planning your trip during your country's low season will really help you save, and you can still see all the same sites. When I was hunting to visit Scandinavia (not an affordable vacation, by the way) I wanted to get the best deals possible because I knew accommodation and food and other costs were going to add up. Flights directly into Finland were getting pricey, but I found a good flight into Vilnius, Lithuania, where you can easily get a cheap ticket for a ferry over to Finland. Another time, it was $400 cheaper to fly into Singapore first, then book a $66 flight to Myanmar rather than booking a direct flight to Myanmar. If you have the time, it can be worth it to hang out in another city or country for a day before booking a separate flight to your ultimate destination. It's just another plug to be a little flexible; maybe you'll get a cheap flight alert to a country that's not initially on the list, but budget airlines (who only operate in a certain part of the world) make it possible for you to hop over to the city you really want to see. If your flight is your biggest cost, where you stay and other transportation is going to eat into the rest of your budget. What's left will be for things like food, activities and souvenirs — you can make an inexpensive trip to Asia very, very, very expensive if you are staying at fancy hotels and spending too much money for food and souvenirs. Not good. In a nutshell, don't stay in a hotel. It's not a hard and fast rule, but you'll typically find cheaper prices at an AirBnB or a hostel (compare the differences here). Hotels cost more and offer more amenities (like laundry service, concierge, televisions in your room and other luxuries) which is nice, but if all you need is a bed, that's what you should pay for, right? Hostels are pretty bare-bones in the dorm-style rooms, but you'll get a cheap rate for a bed and a shared bathroom (some even include a free breakfast). You can pay a little more for a private room if you'd like, but you can easily stick to a budget if you stay in the dorm-style rooms. AirBnB's offer a little more when it comes to amenities; you can often rent out the whole place meaning you'll get access to a kitchen, a patio or yard plus all the rooms in the home. Plus, they are usually located in a neighborhood, so you really get a glimpse of what local life is like. Depending on where you are in the world, you can also stay in a monastery or even camp for a good price. Just keep all of your options open when it comes to accommodation and you'll be able to save. What you eat can quickly eat up all of your budget — see what I did there? The biggest takeaway we give travelers on a budget is to avoid American food (but we have other saving tips here). When I was in Thailand, a plate of (poorly made) spaghetti was $10, while a plate of beyond-delicious Pad Thai was $2. Eat local and save some serious cash. There's also a phenomenon that happens around popular tourist attractions; you'll find the most expensive places right around the Coliseum or the Eiffel tower because that's where the tourists are. You'll find better (and cheaper) food if you head a mile or two away from the tourist attraction. Getting around can also be expensive. In general, we're big advocates of taking public transportation. A taxi or an Uber might cost you $8 but a ride on the local bus? Pay around $0.50. It takes more time to get around and is a bit more to figure out, but it definitely saves you in the long run ... especially if you're not familiar with the area and how to avoid taxi scams that seem to always happen to tourists. The exception to this is is when you're traveling with friends and can just split a cab or a van so that $8 dollar rides turns into a $1.50 ride which isn't bad at all — we've got more ways to save with friends below. If you'll be traveling throughout Europe, it is also handy to look into discounts on transportation if you'll be doing some country hopping. We definitely recommend looking into flying budget airlines but you can also explore options like the Eurail which lets you purchase a rail pass that can potentially give you access to the railways and ferries for some 28 countries. There are some exceptions so be sure to check out all the details so you don't get dinged with fees or end up needing to purchase separate tickets, but it's a good way to get around. A head's up on flying between countries; Don't forget about buses and trains! Sometimes you can save lots by choosing a different airport and taking a train in. If flights from Germany to the Paris Charles De Gaul airport are expensive, try booking into Orly airport instead. 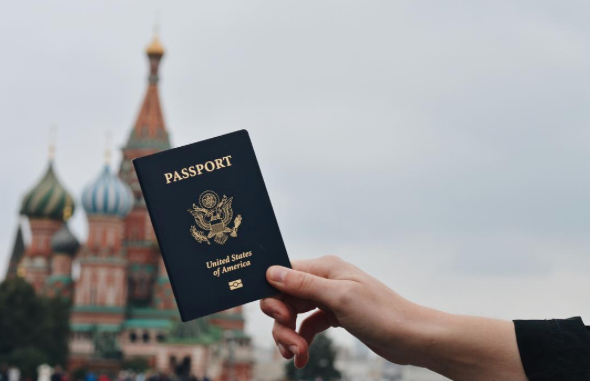 If you'll be traveling on a budget, we suggest making a list of priority things to see in that city or country (like the Great Wall or seeing a show in England) and researching if there are any discounts. For example, if you buy tickets last minute to a show in England, the prices will be slashed. But one huge — HUGE — thing to take advantage of are student discounts. When I spent a semester volunteering in China, I went to Xi'an on one of my last vacations which means I really had to stick to my budget. I looked at what I wanted to see in Xi'an (the Terracotta Warriors, obviously) and made sure I had enough money to get there, see the warriors, have a place to stay, then come home. Luckily the trains and hostels were very affordable and I got a student discount off my ticket to the Terracotta Warriors (and these other spots in China). But you want to know a big secret? I wasn't even a student when I was living in China — I just got this ISIC insurance card that doubles as a student ID and I got crazy deals when traveling. Some museums have free admission day for students, tons of nationals parks and other activities will give you a steep discount if you have one. One of my biggest traveling takeaways is how much money you save when you travel with some friends. You guys can split taxi rides, share an AirBnB, get group discounts and a few other perks (like buying tacos in bulk and getting a discount). I've taken solo trips and taken trips with friends and my vacations when I'm with someone are not nearly as pricey as when I'm traveling alone. The only issue is finding people who are willing to join your adventures — I had a hard time finding friends who wanted to go to China with (even though it's amazing) which is why I traveled there with a program who set me up with a group of travel buddies. 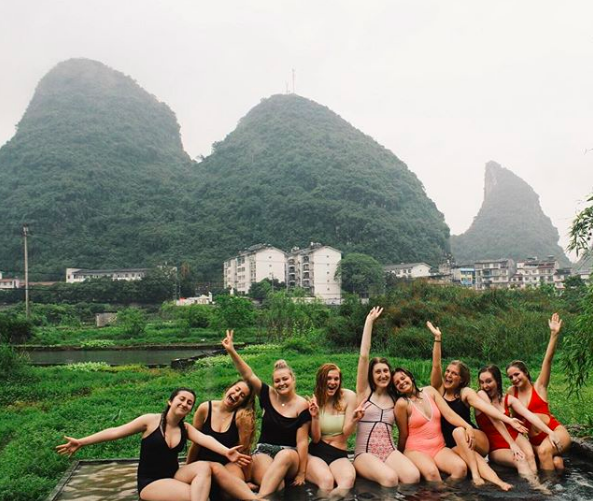 I spent the whole semester traveling all over China with a group of friends which not only made it more fun, but it made it a lot more affordable. Looking into a similar program (like a semester abroad or volunteer abroad program can also help keep your costs down). I did my research and found this organization who included my flight to China, covered my housing, took care of my (expensive) Chinese visa, plus set me up with other college-aged students to live, travel and volunteer with for an entire semester. I was sold; here's how I found ways to afford that semester abroad. Then, once I'm abroad, I follow these tips to make a budget to make sure I don't run out of money before I go home. Ready to really start saving? Save these tips and get even more money-saving tips with a PDF full of info. 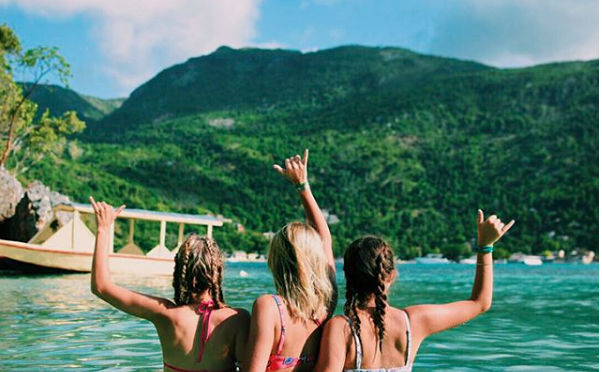 We've put together the big take-aways here (so you don't forget them) and added even more information all about affording a trip or a semester abroad.